Wholesale and retail markets have an essential role to play in the future of the fresh food system, despite the rise of online shopping and Amazon’s arrival. That was one of the key take takeaway messages from the World Union of Wholesale Markets' World Markets Congress, held in Melbourne this week. Chair of Borough Market trustees Donald Hyslop said online retailers could not provide the social and human relationships that markets delivered. “Markets are absolutely central to communities, and cities and towns are incomplete without them – they’re open places of exchange and interaction,” he commented. 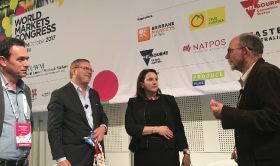 The three-day Melbourne contingent of the congress – hosted by the Melbourne Market Authority (MMA), Queen Victoria Market (QVM) and Sydney Markets Limited (SML) – featured a strong line-up of local and international speakers and panellists who shared the challenges and opportunities for markets under the banner of market modernisation. Hyslop was speaking alongside a panel of experts representing Queen Victoria Market, Pike Place Market in Seattle and Netherlands-based food chain concept developer VGA. And they expressed a similarly optimistic outlook for the future of wholesale and retail markets. University of Melbourne Faculty of Business and Economics Professor Colin McLeod said the issue for markets was deciding whether to partner with or resist online retailers, but they needed to remember the customer of the future was Gen Z. “Within five years they’ll be the biggest market segment in most countries. Face to face communication is critical to them – have conversations with them to engage. Human interaction is critical for innovation and successful innovation starts with conversation,” he said. While Amazon’s emergence was expected to cause carnage for traditional supermarkets, Emeritus Professor of Food Marketing at Imperial College in London Dr David Hughes believed it could create opportunities for fresh produce, and for wholesale markets. 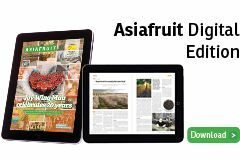 He said customers were seeking fresh produce experts – which supermarkets and online lacked – and extraordinary opportunities existed for forward-thinking fresh food centres of excellence.